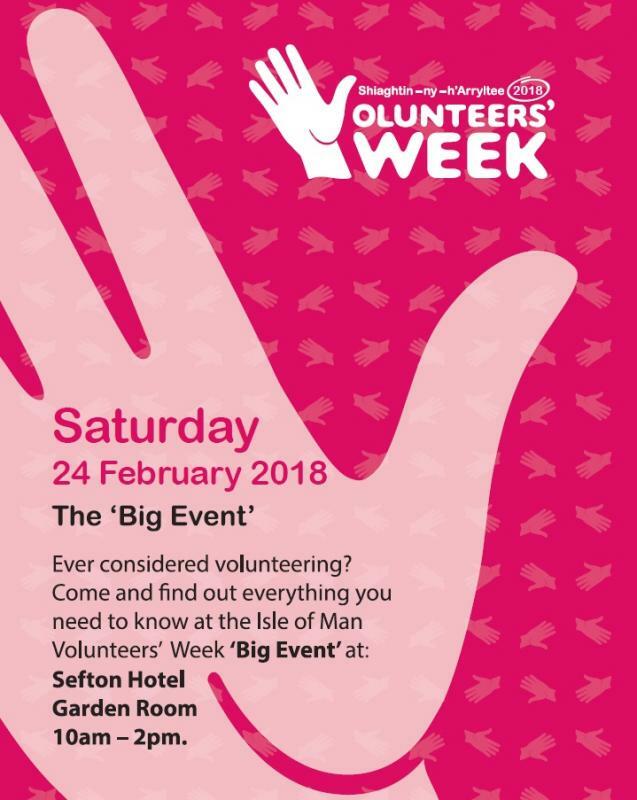 Volunteer Week Isle of Man is dedicated to connecting Volunteers with Manx Organisations and charities, whilst celebrating the vital contributions they make. Volunteers make a difference every day. indeed many organisations could not function effectively without their commitment. Volunteer’s week begins with ‘The Big Volunteer Recruitment Event’ which will be held on Saturday 24th February at the Sefton Hotel Garden Room. This is an opportunity for any organisation who values the contribution volunteers make to everyday lives to take part, not only recruit volunteers for your own organisation but also to raise the profile of the work you do. Last year's event, also held at the Sefton, proved to be a terrific success with almost 500 people in attendance discovering volunteering options. The event was celebrated by over 30 diverse charities and organisations. The success of that event demonstrated that an annual event of this kind is very much needed. Alison Lester, Volunteer Week Organising Committee said “We are extremely lucky on the Isle of Man that people give their time so freely for the benefit of others and the social interaction volunteering provides cannot be underestimated. We are once again grateful to The Sefton Hotel who provide the Garden Room, and also for the support of Government House. Once again His Excellency the Lieutenant Governor will be opening this event for us, and will be present to talk to the various organisations taking part”. This event is proving more popular year on year, so if you are an organisation or charity recruiting volunteers please contact us to book your space.